How do you celebrate the acquisition of a new historic site? Well, you certainly want to recognize all the people that helped to make it happen. You want to give a brief explanation of its place in the story of North Dakota. And you want to make it fun! This was my mission this summer as we prepared to celebrate the most recently acquired state historic site. 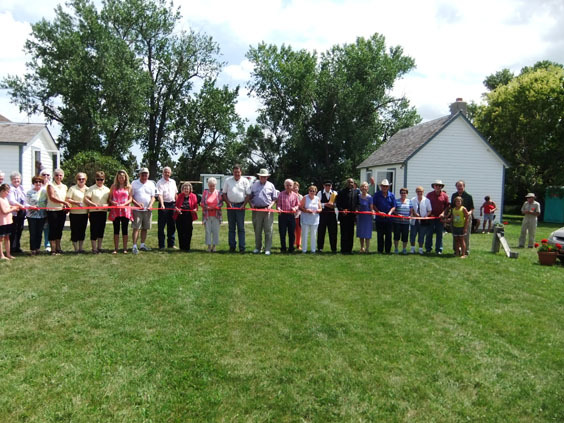 The Welk Homestead State Historic Site, located near Strasburg, ND, celebrated its grand opening on Saturday, July 29, 2017 (see my last blog post to understand more about the significance of this site). 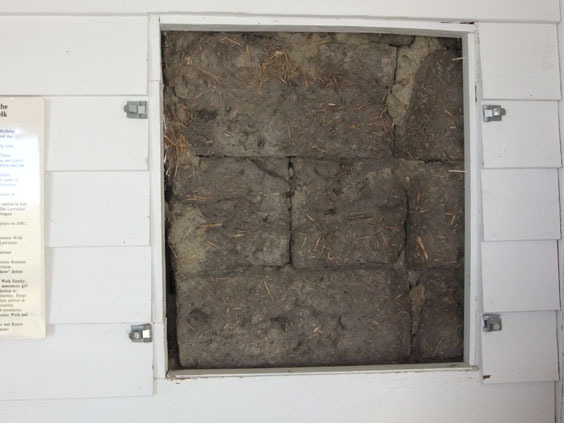 The site had been operated by a private non-profit organization for many years. 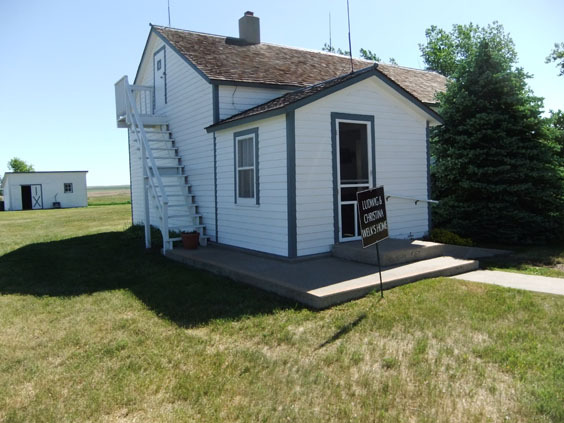 The state of North Dakota acquired the property in 2015 under the management of the State Historical Society. After the addition of new exhibits and other minor changes, the site was ready for a grand opening. First, I sent invitations to everyone who had helped in the acquisition of the site, including the governor and the congressional delegation. I asked people to say a few words about the site—either talking about the importance of the site in North Dakota’s story, or to tell a bit about the site’s history. A representative from US Congressman Kevin Cramer’s office read a congratulatory letter, and Secretary of State Al Jaeger read letters of congratulations from US Senators John Hoeven and Heidi Heitkamp. 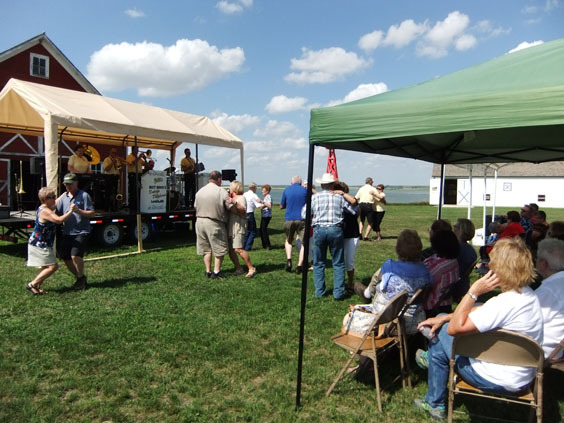 Representatives from the State Historical Society, the North Dakota State Legislature, the local community, and the former non-profit group caring for the site all had a hand in the acquisition. I invited the priest from the local church to give the invocation. Why invite a priest to a state historic site grand opening, you may be asking? Well, faith is an important part of the story we interpret at the site; immigration and the history of the Germans from Russia, North Dakota’s largest ethnic group. I realize that sounds like a lot of people talking, but all had short and sweet messages. Bubbling cider. Photo by Michael Miller. How could we make it fun? Well, this is the birthplace of the famous band leader Lawrence Welk, as well as a special place telling the story of German-Russian culture and agriculture. Music was and is an important part of this culture. Before the speeches, accordion music was provided, which put everyone in a festive mood. 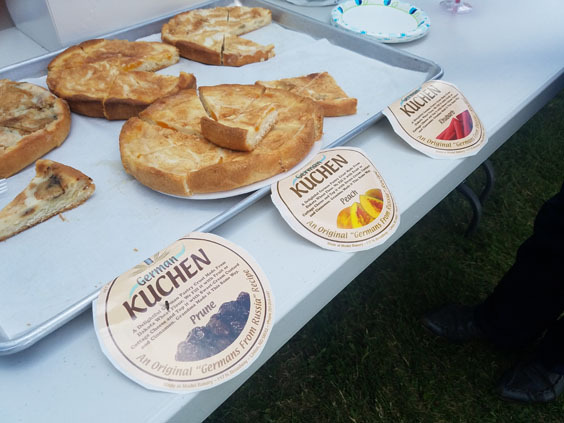 After the speeches, there was kuchen (a traditional German pastry) and bubbling cider – what else for German Russian country and the birthplace of Lawrence Welk!? Matt Hodek and the Dakota Dutchmen from Lankin, ND, playing on the stage. Couples dancing to the music on the “natural” dance floor! The band started playing a bit before 4 p.m. and played until 7:30 p.m. with many people dancing and listening to the music. Say what you will about accordion and polka music, but it is happy music! Then the fun started. Matt Hodek and the Dakota Dutchmen from the tiny town of Lankin, ND, provided music into the evening. Many people found the dance floor (actually the lawn) to be just right for celebrating the occasion. 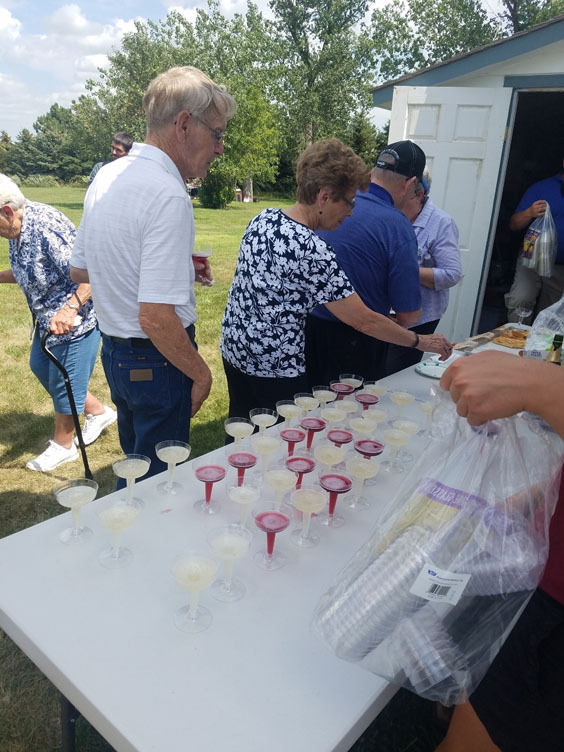 It was a “wunnerful” celebration for the community and the Welk Homestead staff.